Sign up to Dry July Australia 2018 and raise funds for Far North Queensland Hospital Foundation. Nothing can replace the confidence of knowing that you can expect the best possible care – never more so than when a patient is facing a life-threatening illness such as cancer. Help us raise funds to improve patient comfort and recovery at Cairns Hospital. We're proud to announce that Far North Queensland Hospital Foundation has received a grant from the Dry July Foundation 2018 Grant Program. Thanks to 2018 campaign funds and a top up grant from the Dry July Foundation Queensland, 3 important pieces of equipment have been purchased for Mossman Hospital that will make patients lives a little more bearable. A blood analyser, the iStat , allows nurses to conduct point of care testing for most emergent injuries and illness, and removes the usual frustrating delay associated with having to send bloods to Cairns which would result in a wait for over 24 hours to receive the results. A Progressa 585 bed and mattress. This bed has positioning and air cushioning features, percussion and vibration, passive rotation, sit to stand functions that help control pain, enhance the quality of sleep and life; and makes caregiving for patients easier. Thanks so much to Brett Moller for taking a moment to share his family's personal journey with cancer. Donors like he and his supporters really are making a difference to help ease the path that cancer sufferers endure. Do you want to know what sort of difference Dry July makes to our community? Harriet, a senior oncology physio at the Cancer Care Centre at Cairns Hospital, demonstrates the PhysioTouch that we bought with funds from last year's campaign. We also bought some more treatment chairs for this unit. If you know someone taking a month off alcohol for local cancer patients, give what you can because it really does make a difference. WELL known Cairns business woman and councillor Linda Cooper has thrown her support behind local cancer patients. Cr Cooper issued a challenge to other councillors and staff within Cairns Regional Council, as well as regional councils in the area, to help fundraise for Dry July. 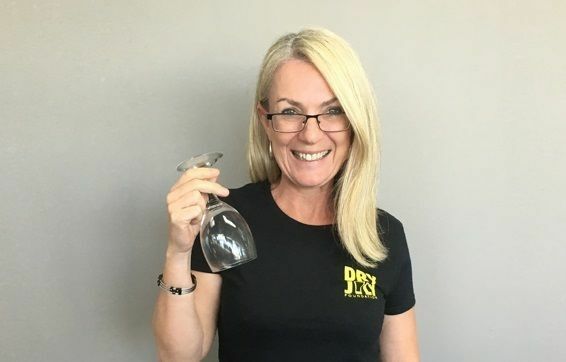 “I'm aiming to have 50 councillors and staff from Cairns Regional Council take part in Dry July with me, and I'm calling for other councils in the region to do the same,” Cr Cooper said. 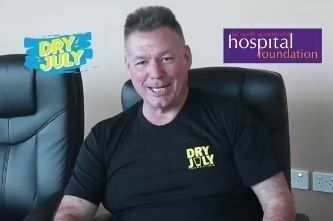 People who register to take part in Dry July and nominate the Far North Queensland Hospital Foundation as their beneficiary, will be helping cancer patients in outlying centres. Dry July is an international fundraising initiative where participants sign up to “Go Dry” and not drink alcohol for the month of July. Through the financial support they receive from friends, family and colleagues, the Dry July Foundation funds wellness programs, comfort items, transport services, accommodation projects, hospital furnishings and entertainment items. Foundation fundraising and event co-ordinator Gaby Thomasz said outlying hospitals Mossman, Atherton, Mareeba and Atherton would be the beneficiaries of this year's fundraising efforts. “We know that health outcomes for people in regional areas, are not as good as for those in our major centres, which was why we decided to help improve cancer facilities in these outlying facilities,” she said. Last year, the Foundation received almost $40,000 which was used by the Liz Plummer Cancer Care Centre to buy treatment chairs and a PhysioTouch massage therapy device. Since 2013, Dry July has raised more than $145,000 to help cancer patients in the Far North. The money has bought medical equipment such as chemotherapy pumps which deliver medication while allowing a patient to be mobile. To sign up for Dry July with the Foundation as the beneficiary, click HERE.